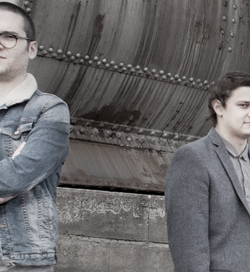 The French duo We Need Cracks have been a bit of a surprise coming out of the blue and releasing a brilliant debut on Traum with their "Geometryka" EP in December 2013. 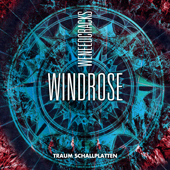 Their new piece of music "The Windrose EP" is a superb follow up which we hope will take you by storm as much as it did us. "Joran" the opening track acts like a shiny liquid elixir that has that heavenly glow to it. Which in fact spreads wider with each musical element added, becoming a significant "sea of sounds" with a slow motion feeling that still keeps the simplicity We Need Cracks are so good at. "Joran" is a truly enchanted melodic piece of music with a timeless beauty to it. "Auster" starts more house but quickly unfolds it's beauty and connects perfectly to "Joran" featuring captivating small sequences that seem to glide down from the sky, all made of thin ivory and gold. Resting, spinning like a leaf in the wind, these melodies quickly cast a spell over us. Track 3 "Aquilons" starts like a classic deep house track but then jumps head over heels into the melodic genre, exposing these spine-tingling midget melodies that work here as a catalyst for broader string arrangements... this is another fabulous track by We Need Cracks and it is an anthem for the special and deeper moments we think! "Cers" is a birdcage full of music and certainly bird sounds. A track with a 4 minute (!) long melodic "happy/sad" intro that washes down all grey realism in a split second and which could be a sound track for a French movie as well. A fabulous open air track that transport nature where ever you might be dancing!